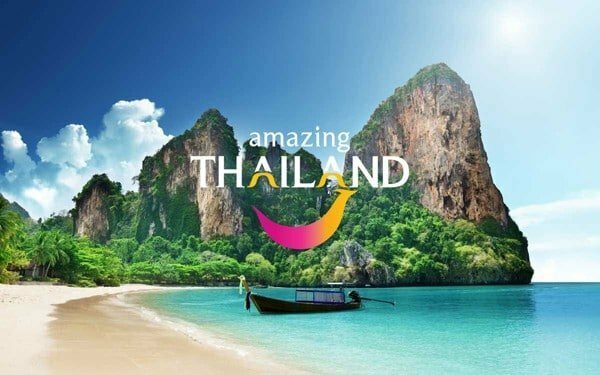 Thailand is arguably one of the world’s premier tourist destinations, the country was visited by 29 million tourists in 2015 alone. Bangkok is the second most visited city in the world’s top 20 cities; only London, with its huge global business and financial center, receives more visitors per year. Before you head off to book your next holiday to Thailand there are a few things you should know, in order to get the most out of your visit. When it comes to climate, Thailand enjoys a tropical weather system, but due to its geography its weather systems are split between the North and South. The North of Thailand with borders with Laos, Burma and Cambodia has three seasons. From November to February is the cool season with relatively cooler dry weather. From March to May is the hot dry season, and from May to November the country is affected by the southwestern monsoon season, where rainfall can become pretty heavy. Unlike the North, the South of Thailand and the heart of its tourism industry only has two seasons: wet and dry. These do not run at the same time on the eastern and western coasts of southern Thailand. The East coast, which lies on the gulf of Thailand, has its rainy season from September till December. The West coast, which lies on the Andaman sea, has a somewhat longer rainy season running from April till October. These unique weather patterns make Thailand an ideal place to visit since you can visit year round to enjoy great weather, you just need to know where to go! Thailand, being one of the world’s most popular tourist destinations, has simple visa options for nationals of many countries. 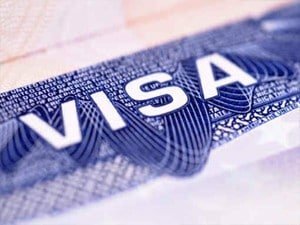 So far with its many bilateral agreements and conventions, Thailand offers visa free travel to nationals of 57 countries. Most EU-EEA-and G7 member nationals are eligible for a 30-day visa upon arrival, when arriving by air. In addition, citizens of Argentina, Brazil, Chile, Peru, and South Korea are eligible for a 90-day visa upon arrival. Getting to Thailand has never been easier, Bangkok being one of the biggest aviation hubs in the world with two international airports. Suvarnabhumi Airport (BKK) is the 20th biggest airport in the world and is the airport most visitors arriving from outside Southeast Asia will arrive at. 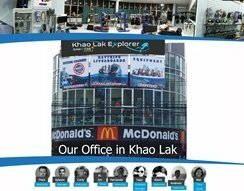 Don Mueang International Airport is Bangkok’s second airport and is the world’s largest low cost airport, it is the one most travelers use for their onward flights in and around Southeast Asia once they arrive in Bangkok. While there are many direct flights to Bangkok, when arriving from most European countries and some North American destinations, the vast majority of the time travelers will have a stopover on route to get the best deal. Normally there are some excellent deals to be had from Europe using some of the gulf carriers, and from North America you’ll also find excellent deals using some Asian airlines like Cathay pacific and Eva air, in addition to the gulf carriers. The key to getting the best deal for your travel to Thailand is to shop around. 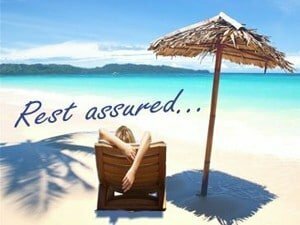 Before you set foot out on the plane, you need to have travel insurance. While there is some relatively cheap medical care for minor incidents in Thailand, have a serious accident and the cost could mount up very quickly to the thousands of dollars. Considering how dangerous Thai roads can be, good travel insurance is an essential not a luxury. If you plan on doing some diving during your trip to Thailand, then it is highly recommended that you also have additional dedicated diving insurance. Needless to say, you will need money while visiting Thailand. 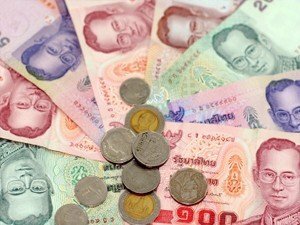 You can use cash, ATM’s, traveler’s checks, and credit cards in and around Thailand. When it comes to exchanging money you will generally get a better rate changing money in the airport when you arrive. There are plenty of bureau de change and banks where you can exchange your traveler’s cheques, although there is a fee per cheque, so it is not worth your while to have small denomination cheques. Cheques in $100 to $200 denominations should do very well. Although there are plenty of ATM’s around, there can be queues for them especially in Bangkok so make sure you always have some cash reserves. 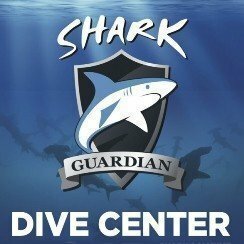 When it comes to using credit cards, big international shops, hotels and dive centers etc. are generally safe. Avoid using credit cards at smaller establishment so as not to run the risk of having some unwanted transactions appearing on your statement a month later. If you are staying at a good hotel with a room safe, leave some of your cards and cash there just in case you lose your wallet while out and about. If your hotel does not have a safe, then it is best to carry everything on you but try and split it up on your body so you don’t lose everything in one hit. N26 German online Bank provide the best card for travelers, no withdraw fee, you can open an account easily before your holidays, it’s one of the best way to save money and also give an extra credit card just in case. The best part is you can turn off payment online, Atm withdraw, increase/decrease limits and a lot more all directly on the app. Which makes is very convenient. 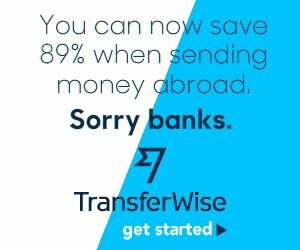 Another one is Also one is TransferWise, one of the best tool to transfer money and they offer free Visa cards similar to N26 you can do a lot on directly on the app. Are there any months that have bad weather? While you can visit Thailand year round, most of Thailand’s rainfall is from July to October; this is when floods can ravage parts of the country, and humidity averages 90% with an average temperature of 29 C°. This temperature and humidity can make things somewhat stifling, even when coupled with the incessant rain. April is the hottest month in the country, which is ideal if you plan to spend a lot of time on the beach or diving, but is probably not the best month if you plan on doing a lot of trekking and hill walking. 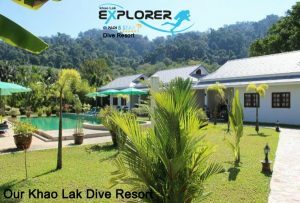 The beauty of Thailand’s weather is that it is so varied that you can time your trip to maximise what you get out of it. Which airlines are the best for divers? 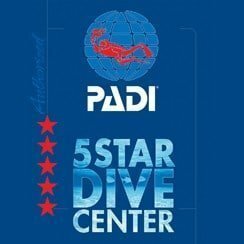 If you are bringing dive equipment, your luggage allowance can pretty much disappear before you have had a chance to put a T-shirt in your bag! Make sure to check with the airline what deals they offer for divers, quite a few airlines let divers have an extra 5 Kg of baggage allowance upon the production of a valid dive card. Some airlines even allow divers a sports bag of 10-20kg for a nominal fee. You should read the small print of the airline you are thinking of using, since the cheapest airline may turn out to not be that cheap after adding up all the additional baggage charges. 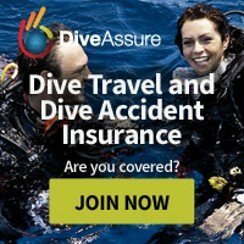 Which dive insurance is the best? How much cash should I carry on me? Thailand is one of the safest countries in Southeast Asia, so having money on you is not a real problem. Needless to say, some common sense here is required. Do not walk around with several thousand dollars on you. 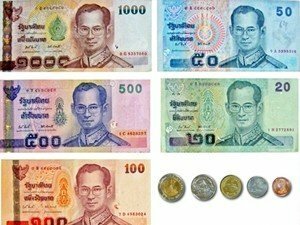 Use the ATMs which are plentiful around Thailand, but because there is a per transaction charge on every withdrawal, it is best to take out a large amount every time thus keeping your number of withdrawals and fees to a minimum. You should try to take out between $150-$250 every time. In part one of this series we looked at the pre-travel practicalities of a dream holiday in Thailand. Carrying on from this we look at some of the in country issues to take into account to make your trip to Thailand a truly memorable adventure. 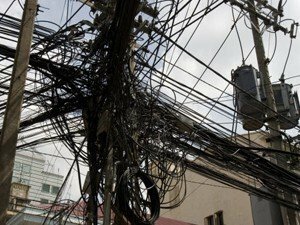 Thailand has a power grid that operates on a 220-volt supply at 50 cycles. While a lot of power outlets are two pronged, in more modern buildings and upmarket establishments the outlet is 3 pronged, similarly to the UK (although UK plugs will not fit), with a third additional “grounding” prong. One note of caution though is not to assume this third prong is an actual grounding; in a lot of places the grounding is just blank and not connected. Most European plugs will fit directly into Thai power outlets without any need for an adapter. Transport in Thailand is reasonably well developed, with options to suit travellers on all budgets. Most of the islands are well serviced by regular ferry services. The country is well covered by a series of airports and low cost airlines. Buses operating intercity routes are plentiful, they come in 4 service classes to suit most budgets, from a basic bus to air conditioned luxury coaches with airline style seats. There are also small private shared air conditioned minibuses that you can use to move between Thai cities. Buses are the cheapest and most regular method to get around Thailand. Thailand is a reasonably cover by a train network. Train services are available between most major Thai cities. The trains operate various classes of service, from the basic service to a luxury train with dining cars and such. Although the trains are generally slower than buses, they are far safer and as a bonus they often take a route that allows you to see much more of Thailand’s stunning landscapes. One thing to remember is to definitely book at least one day in advance, and to remember that the trains rarely if ever stick to their advertised timetable. 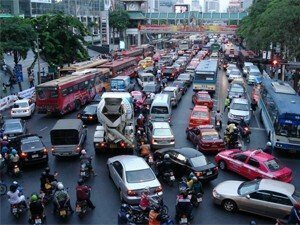 Based on first impressions when landing in congested Bangkok, most tourists would not dream of driving in Thailand. Surprisingly, outside Bangkok, the roads are much less congested and driving is relatively straight forward. Be aware though that Thailand is a country where people drive on the left, and the speed limits are 60 km/h in built up areas, and 90 km/h on national roads. Thai road safety is not the best, and driving can be somewhat chaotic – you need to stay extra vigilante and attentive when driving on Thai roads. In the more touristic areas, you will see many tourists on motorcycles going about their vacations. Hiring a motorcycle is a great option for moving around small touristic towns, however be hyper vigilante since Thailand has the worst motorcycle safety record in the world. If you are planning on hiring a car or a motorbike during your visit, make sure to check out the small print of your travel insurance policy to be sure you are covered if you have an accident while driving a hired car or motorcycle. Interacting with the Thai police can be somewhat daunting, but generally if you are courteous and quick thinking things can be smoothed over quite simply. That being said be aware that when they want to, the Thai police takes a very dim view on the consumption and possession of narcotics. Penalties can be very severe for drug offences up to and including the death penalty. There are other more unique laws in Thailand, such as the fact that E-cigarettes are illegal and you also risk a heavy fine for their possession. 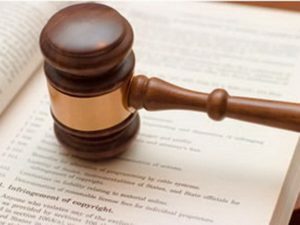 Whatever happens, be courteous and polite with the police, if you do get arrested insist on having a lawyer present, make sure your embassy is contacted and is aware of what is going on, and use one of their lawyers, and finally never ever sign anything offered to you by the police without your lawyer present. So do I need an adapter or not? Well, most citizens of Europe will not need an adapter of any kind and can easily place their plugs into standard Thai power outlets. UK citizens will need an adapter to enable their plugs to fit Thai sockets, a standard adapter that is used when visiting Europe would work. Citizens of 110 Volt countries including most of North America, Central America, and Japan, will need something a little more than an adapter. They need to acquire a small step down transformer to convert Thai 220V to 110V. It is advisable and often the best solution to bring only one or two plug adapters and a power bar (extension lead), so that you can use multiple devices and charges with just one adapter. This is especially the case if you need a step down adapter. So which transport option should I use? This fundamentally depends on 2 factors, time and money. If you are on a serious budget, then you will have to sacrifice time and use buses to get around Thailand. If on the other hand you are time limited in your itinerary, then your best option is to use flights and private minibuses to get around Thailand. Before you commit to one mode or the other bear in mind the following: the journey down from Bangkok to Phuket takes about 11/12 hours by minibus or bus. The same journey using a low cost carrier takes about one and a quarter hour for a cost of about 40$. Ultimately, you need to decide what your priorities are. 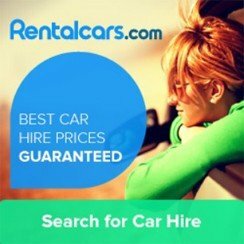 What do I need to hire a car/motorcycle? There are many options to hiring a vehicle in Thailand, as the law stands you need an international driving permit as well as your home country’s driving license to hire a car. However, in practice some of the smaller rental companies do not bother with the requirement for an international driving permit. It is best when hiring a car to stick to the big international companies (Avis, Budget, Sixt, etc.) and make sure they have proper insurance. For motorbikes make sure you inspect the machine very carefully before you sign and check that everything is functioning properly. Try and do some research beforehand to avoid a common scam whereby shops charge extortionate amounts to repair even the most minor of scratches. Finally make sure you hire a helmet as well since it is the law. What about the good Samaritan law? This is one of the more bizarre laws regarding Thailand, and a lot of Thai’s will advise you not to actually help anyone injured by taking them to hospital. This is because under Thai law if you help a person, even save their life, by taking them to hospital, you are legally responsible for the well-being and upkeep of that person for the rest of their life! This may seem totally bizarre but is the law so be very cautious about offering to help someone.